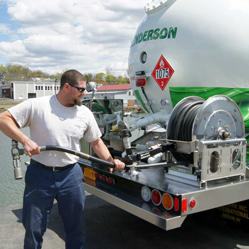 Designing a reliable, stainless steel reel for the sensitive oil and petroleum deliveries of a long-standing Catskill business. 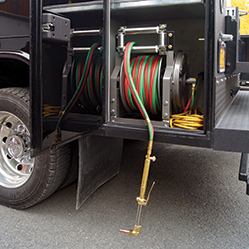 Providing booster hose reels for utility vehicles used in both urban and extreme off-road settings. 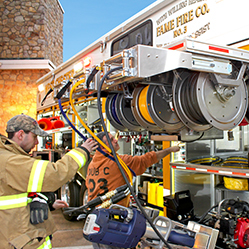 Designing custom reels for fire apparatus, where space is at a premium. 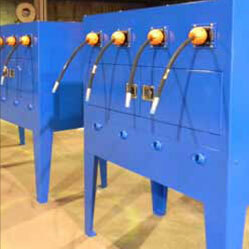 Provides handcrafted floater reels for ships delivering flammable liquids. 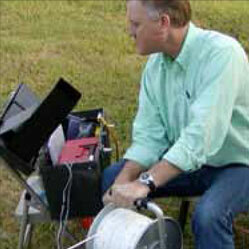 Building reels for lightweight, high pressure pumps reaching remote areas during forest fires. 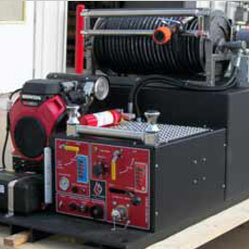 Providing all necessary reels for unique custom equipment used in growing farming and landscaping operation. 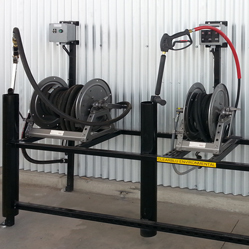 Designing heavy-duty reels to fit in intricate wash bay systems. 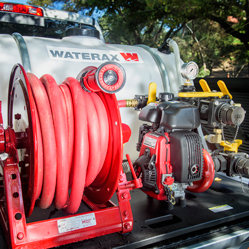 Providing multiple reels to perform crucial preventative maintenance on trucks that service railroad trains and repairing faulty railroad equipment. 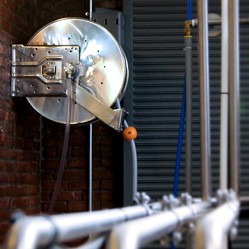 Increasing productivity for a local distillery to complete their beverage processing procedures and meet sterilization requirements with an American-made product. 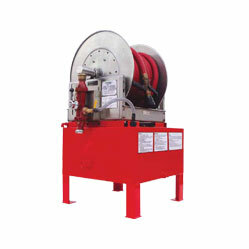 Installing a foam firefighting station for helipads used in marine, offshore, industrial and municipal applications. 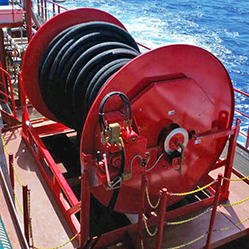 Designing durable borehole camera systems to manage long lengths of heavy cable for hazardous environments and applications all over the world. 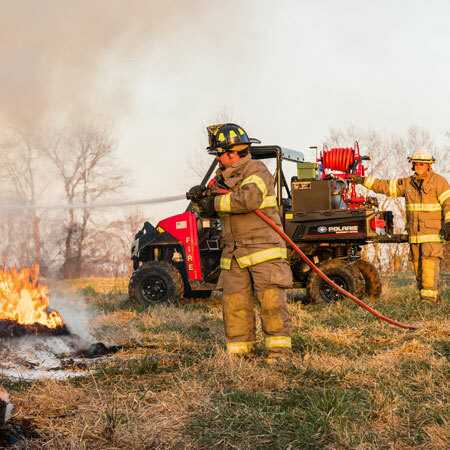 Collaborating on an ultra high pressure (UHP) mobile fire suppression system for utility vehicles to dispense high velocity water and foam without corrosion. 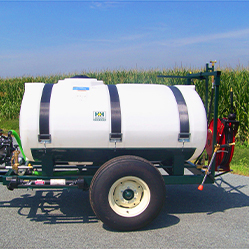 Meeting 5S workplace standards with a custom reel cabinet to dispense a variety of lubricants for off-highway machinery and vehicles.